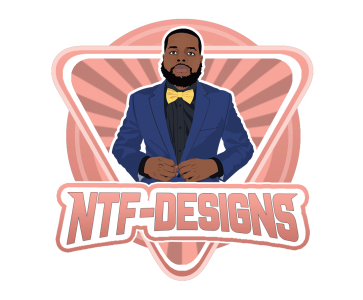 Based in North Carolina, NTFDesigns provides visually pleasing, & affordable graphic work for those looking for company logos, graphic art, & Snapchat filters. As a designer it has always been my passion to create art that makes people happy. My first design was a graphic for a clothing brand, and the face of a pleased customer motivated me to continue with my journey as a designer. With over 5 years of graphic experience, I am a creative designer with expertise in websites, illustrations, logos, and videos. I’m excited to continue to grow as a designer, and continue to make people happy with the designs I produce.